With a stay at Bang Pa-in Place in Bang Pa-in, you'll be within the region of Bang Sai Royal Folk Arts and Crafts Centre and Ayutthaya Historical Park. This aparthotel is within the region of Asian Institute of Technology and Japanese Settlement. 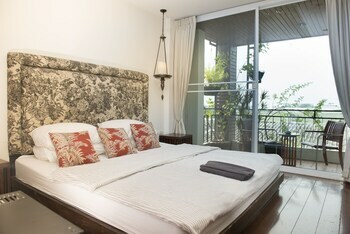 Make yourself at home in one of the 13 air-conditioned rooms featuring refrigerators and flat-screen televisions. Prepare your meals in the shared/communal kitchen. Complimentary wireless Internet access keeps you connected, and cable programming is available for your entertainment. Bathrooms have showers and hair dryers. Satisfy your appetite at a coffee shop/cafÃ© serving guests of Bang Pa-in Place.